Available in 1 Box x 24 Sachets / 1 Sachet x 10gm. 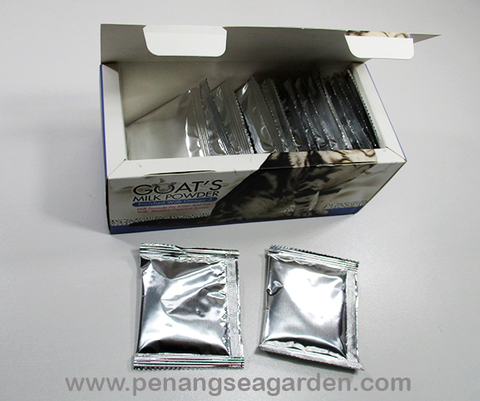 Free from artificial colors, flavors or preservatives. 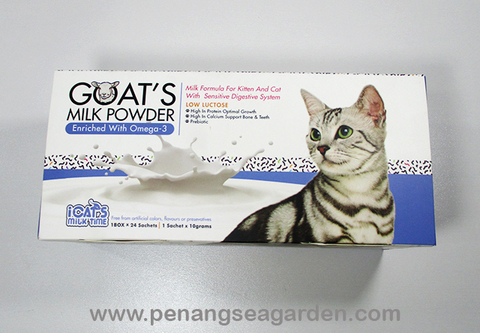 Milk formula for kitten and cat with sensitive digestive system. 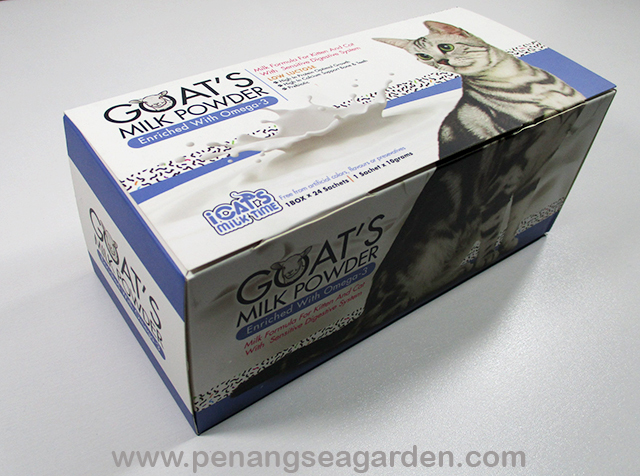 For Kitten: 1 Sachet of Goat's Milk Powder to your pet's food. For Adult Cat: Sprinkle 2 sachet of Goat's Milk Powder to your pet's food.